“a little WiFi box that packs a big punch for my business"
WHY DOES MIKE LIKE IT SO MUCH? Customer loyalty is key to the success of many businesses because it creates a reliable stream of recurring revenue. Finding new customers in significantly more expensive than retaining existing ones. SayHi Wifi empowers you to focus on your most profitable customers to drive loyalty, and use them to reach new ones. SayHi WiFi is a little box which connects to your business’s existing broadband, allowing you to offer your customers free WiFi while in your premises. In turn, they share with you their contact information so you can stay in touch with them and ‘SayHi’ long after their visit! Once your customer has used your WiFi you can SayHi to them again – as and when you want to! By using SayHi WiFi your customers have shared their contact information with you. Choose to email your customers at a time convenient to you and update them on upcoming events, new products and services or special offers – your choice! To sweeten the deal for those who don’t have an expert email marketer on staff – SayHi WiFi will produce email marketing on your behalf ! It’s great– we love email and what’s more we’re really good at it! We’ll take the hassle out of staying in touch and let you get on with running your business. Check out our packages here to see what else is included! “Its like the modern version of the business card goldfish bowl, only cards don’t sit their gathering dust. We automatically send our new customers offers, vouchers, and news about our latest products. It saves me tonnes of time and effort. 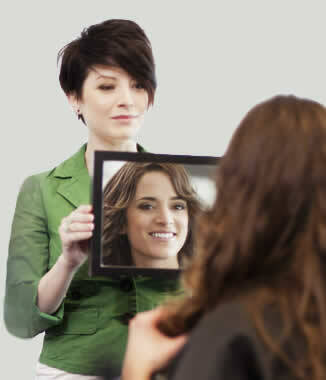 “It worked straight away, gave me instant information about my customers. Now I market my business like a pro, right from my laptop, with no extra cost. “It was SayHi’s ability to send out offers to past customers that attracted me, its worked well indeed, no fuss, no hassle. SayHi WiFi uses a business’s existing Broadband supply to create a free WiFi Network for customers. The best part (aside from Happy Customers) is that SayHi Wifi allows your customers to share their contact information with you! SayHi WiFi is installed in minutes and works straight away. A team of SayHi Support Engineers are available over the phone to answer any questions you may have. Customise your WiFi id (SSiD) and your LogIn Page to suit your branding. SayHi also create one free email per month for you to mail to your SayHi mailing list! 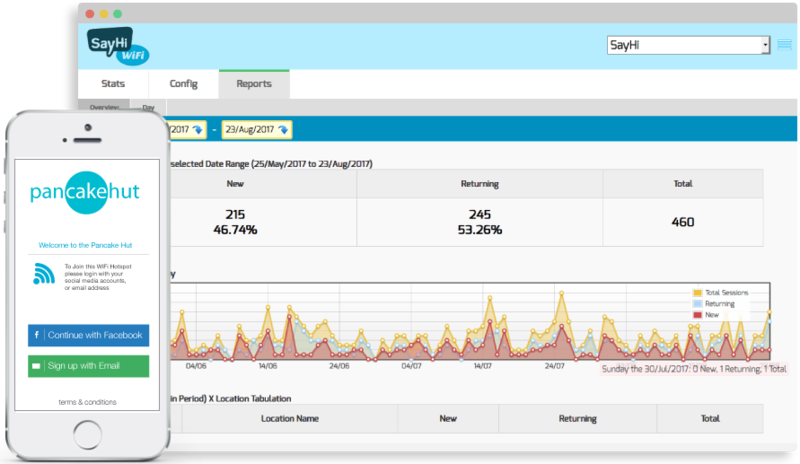 Use SayHi WiFi to gather data on your customers, footfall and much more!